A juvenile wart (also called flat wart) is in reality a benign tumor that causes no real or little physical harm. Juvenile warts are more commonly found in children and adolescents. They usually occur on the face, arms, hands and knees of young individuals. They are caused by the human papilloma virus or HPV. This is a type of virus that can be found in moist and warm habitats. Therefore it may easily be found in bathroom floors and swimming pool areas. The human papilloma virus is contagious and it can be transmitted form one person to another. Sometimes an individual may be a carrier of a virus for several months or even years until it develops into a wart. Because of this it is difficult to determine when the individual had got the virus. Although juvenile warts pose no or very little health risk, they have the tendency to increase in number. So it is important to treat them as soon as possible. Another important reason why they should be treated is that they may interfere with the self confidence of the kid or adolescent. There are many over the counter wart removal treatments. Unfortunately many of these are not effective at all. Some of them may help to kill the wart but remember also that warts have a tendency to re-occur. Some type of wart removal treatment may also damage the skin. Electrosurgery uses a heated needle to remove warts. Such a process is however painful, even though aesthesia is administered to reduce pain. 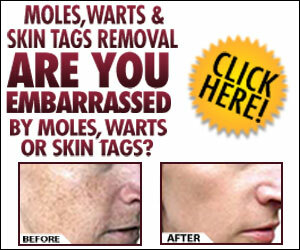 Perhaps one of the disadvantages of this wart removal treatment is that it generally leaves a scar. Cryosurgery involves a process where the juvenile wart is frozen by an instrument. An anesthesia is usually also applied and you may need more than on session for completer removal of the same wart. Laser therapy involves directing a powerful bean of light to the wart so to burn it. This type of treatment may be quite expensive especially if you have a large number of warts. Alternative and home treatments for warts may also be used to effectively treat your juvenile warts. Although some of these methods produce little results, others are known to be quite effective and have been used for many years.